Wenner Media is the publisher of Rolling Stone, Us Weekly, Men’s Journal, and Glixel, an online video game culture destination launching in October 2016. Based in New York City with satellite offices in Chicago and Los Angeles, Wenner is the leading authority in music, entertainment, celebrity, and pop culture. Jann Wenner co-founded Rolling Stone in 1967; since then the company has expanded into a multi-million dollar enterprise, poised to complete a transition from a print to a digital company as it celebrates its 50th anniversary. 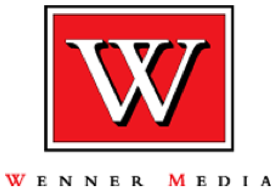 It’s critical that Wenner’s sites are available to readers and provide real-time updates during major events, such as award shows and breaking news. 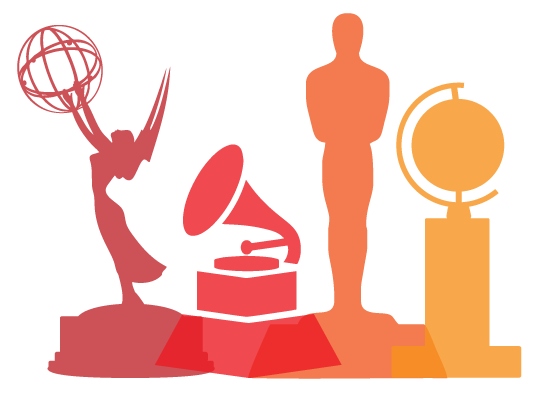 Most media companies see the bulk of ad sales during Q4, but for Wenner it’s Q1; Awards shows, like the Grammys, Golden Globes, and the Oscars, are crucial for Us Weekly both in terms of advertising and site traffic. Fastly helped Wenner improve site uptime while they worked on their origin. Fastly’s Instant Purge allowed Wenner to set long time to live (TTL) values, preventing an influx of requests to origin (which can be costly and impact performance negatively) while maintaining the ability to update content for their readers in real time. Fastly’s stale-if-error feature allows Wenner to continue serving content to readers in the event of an outage. Wenner’s engineering team needs to be able to update their CDN configuration and see the effects right away. With their previous provider, it took between six and eight hours to deploy a CDN configuration change; with Fastly, Wenner can make updates and see the changes within seconds. This gives them the flexibility to try out new settings with the comfort of knowing they can roll back as necessary. When a problem does arise, Wenner uses Fastly’s Real-time Analytics Dashboard as an early warning system. With their previous setup (and because they were working on a local version of the site), Wenner’s tech team often wouldn’t know the site was down until someone on the editorial team – or worse, their readers – noticed. The ability to make instant updates is critical to any media site, but especially in the event of major news. When a pop icon passes away (especially a rock legend like David Bowie), Rolling Stone is where mourning fans turn – not only to read the latest updates regarding his death, but also to dig into relevant content, such as a 10-page story on Bowie from 1973. The ability for Wenner to instantly publish the latest updates on a major event also helps them secure the top spot on Google News. Fastly empowers Wenner’s editorial team to make instant updates to developing stories, which was cumbersome and time consuming with their previous provider. Now they can iterate rapidly — updating a story as it happens, without having to wait for cached content to clear. Wenner is building caching into its scaling strategy: the more their online traffic grows, the more it’s offloaded onto Fastly. Wenner has responsive images to ensure readers see the right image size for their device type, increasing the amount of images they have to serve. Fastly offloads the sheer quantity of images, helping Wenner serve readers the right images in real time. Wenner uses Amazon S3 for additional, cloud-based storage. Although they have extra instances on hand, Wenner turns to Fastly to shield their origin when a story takes off. Wenner crops and resizes all of their images internally and serves them through Fastly, which they use to experiment with image size and file type. Using surrogate keys, they can tag related content (like images that are cropped to a specific ratio) in order to purge them all at once, making it easy to determine the optimal image size. Like many companies, Wenner has a staging server for features that haven’t yet been released. Advertisers or out-of-office executives often need to see the latest updates before they’re released to the public. This was a potential security and news leak risk with Wenner’s previous setup: they could add specific IP addresses, but over time they would build up and it was impossible to tell for whom permissions were given and why. Wenner built a tool within their CMS that allows them to enter the URL they’d like to give access to along with other metadata. When someone accesses the URL, this tool gets the IP and adds it as the key to a Fastly Edge Dictionary, allowing Wenner to match IP addresses against the expiration dates, thus maintaining tighter control of who can access their staging server, and when. 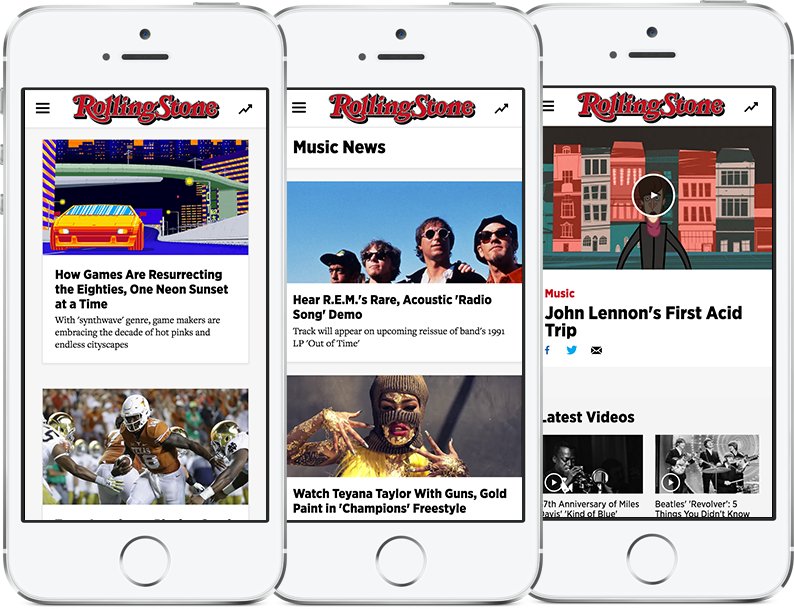 Wenner launched the latest iteration of rollingstone.com in July 2016, integrating Fastly closely into the redesigned site. The new site is fully responsive, more mobile friendly, and much faster for readers, editors, and engineers. Rolling Stone’s long tail content — articles like the 10-page story on David Bowie that get less frequent but longer reads (and therefore weren’t always in cache before) — will be returned just as fast as frequently read articles. Previously, Wenner devoted 5-10% of engineering time solely to keeping their legacy site up. With Fastly, they were able to focus on revamping Rolling Stone, launching ahead of their target date with more features than they’d originally envisioned. Because they built the site around Fastly, Wenner was able to speed up reader experiences while reducing overall infrastructure costs. Test up to $50 of traffic for free, no commitment required. By clicking on Sign Up you agree to the Terms of Service and, if applicable, the Data Processing Terms.